Intramurals/Super Teams and More - Monsignor Doyle C.S.S. Mustang Intramurals are activities that take place in the Gym during Lunch time on Tuesday’s-Friday’s. Signups and information is shared over the morning announcements and students can sign up a team or as free agents on the PhysEd office window or the SAC office wall. Here is a quick rundown of what will be offered this year. Super Teams are intramural teams who would like to play in each league at lunch, design their own jersey and wear them on game days plus Spirit Wednesdays. Super Teams will accumulate points throughout the leagues based on positive committed participation, wearing the jerseys at games and overall record. If you have a core group of friends interested in playing at lunch throughout the year then Super Teams is for you!!! 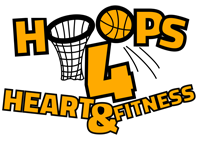 The “Hoops for Heart and Fitness” 3 on 3 basketball tournament is a fun way to raise money for the Heart and Stroke Foundation and Monsignor Doyle Fitness. By supporting this event and signing up a team you can create outstanding outfits, an appropriate team name as well as using many other various methods of team spirit to enhance the experience. Feel free to create your own t-shirts with your team name and slogans or use face paint, as specific team colours help determine and define your team.